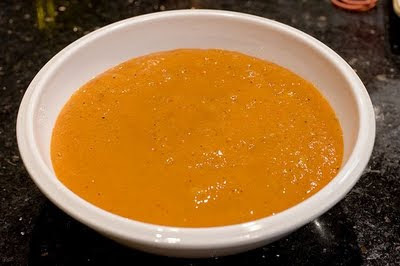 Discription:This is one of the famous sauce to serve with any grilled food like steaks. The sauce is very easy to make and prepare within 10 minutes. In a blender combine all the ingredients i.e. mango pulp, ketchup, lemon juice, soy sauce, sesame oil and honey to make it smooth. After that simmer it in a sauce pan for just 5-8 mins until it boils. Then cool the sauce to room temperature.